According to The Wichita Eagle, the Andover Public Library board of directors has voted – nearly unanimously – to protect the rights of their patrons regardless of age. This is the conclusion of a challenge from one patron back in September to remove LGBTQIA kid books, Lily and Dunkin, I am Jazz, and George by Alex Gino, from the kids’ section and re-shelve them with adult books. According to one library board member, Laffen’s challenge accused the books of being part of the “sexual revolution agenda, indoctrination of children” because the protagonists in the books challenged are transgender. During this time, I am Jazz was moved from the picture books to the nonfiction section, with other books concerning “institutions pertaining to relations of the sexes” according to its Dewey Decimal system number. 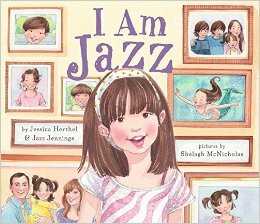 To some, this may not sound like a big deal, but making it more difficult to find books like I am Jazz deprives kids who might connect with the character or book from a chance to discover it on their own. The Andover Public Library and their board handled the challenge well. They followed their procedures and convened a committee which ultimately decided against removing the books from the kids’ section. Laffin was unable to accept their decision and asked for an appeal which they granted. 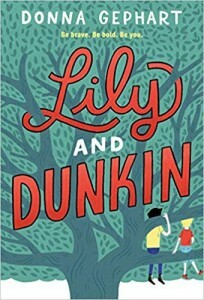 The community came out to speak on behalf of the books as well as the LGBTQIA community, and the Andover Library board of directors listened to both sides before adjourning until February 13, 2019, to allow them time to read the three books in question. CBLDF and National Coalition Against Censorship (NCAC) as part of the Kids’ Right to Read Project (KRRP) wrote to support the Andover Public Library and their board during this process. As you consider the appeal, we as you to reaffirm your First Amendment obligations and also note that restricting or removing these books would raise serious concerns about discrimination based on sexual orientation. As a public institution, the library’s primary responsibility is to uphold the First Amendment, which guarantees the right of all young people in Andover to read and learn, absent from bias or viewpoint restriction. It is crucial that libraries offer access to a broad diversity of ideas and foster open exchange of perspectives. Libraries should strongly resist efforts by any individual or group to impose their own subjective ideas of morality on the general public. The challenged books are critically acclaimed and readers of all ages can benefit from their uplifting messages of unconditional love and acceptance. To support CBLDF in the fight for the rights of every person to read freely, check out Humble Bundle this February and have your donation rewarded with video games, books, or comics! Or become a CBLDF member and tell the world you stand for free speech for everyone!